After an approval process that lasted longer than World War Two, President Obama finally said “No” to the Keystone XL pipeline. This is undoubtedly a major victory for climate activists who had a lot staked on the outcome. Obviously, this is a defeat for the oil sands industry, but it is also something of a blow to the Serious People who are in favour of action on climate, but who consider protesting against the construction of infrastructure to be naïve at best and, at worst, a counterproductive distraction from the real action of international negotiations and policy wonkery. If you haven’t done so already, read David Roberts who writes most of what I’m going to, but does it better. One pipeline is not going to make much difference to global emissions. Oil sands’ emissions have been overstated. What matters is reducing demand, not restricting supply. There are transportation alternatives to pipelines, like railways, and they are more environmentally risky. This is all true, more or less. But it is also beside the point. I have written a few blogposts about the oil sands and pipelines over the past few years. They get a little repetitive and I hope that I never have to do one again. I think I made a promise somewhere that if carbon externalities were ever properly priced, I would never protest another infrastructure project. In Alberta’s bitumen sands: “negligible” climate effects, or the “biggest carbon bomb on the planet”? I had a close look at a paper by Neil Swart and Andrew Weaver that quantified the climate impact of exploiting the oil sands. I had no quibble with the science, but the presentation invited distortion by pro-oil sands pundits who used it—and still do—to show that emissions are negligible. In fact, the oil sands could add a significant slice to future emissions. But they are not the “biggest carbon bomb on the planet” as James Hansen has claimed. In Keeping the Cork in the Oil Sands Bottle I argued that it’s not just about the wonkery of incremental emissions, but also about perceptions and unmeasurables. Building infrastructure is like opening more bottles at a wild party. Of course, it is not the opening of the bottles that causes the hangover, it’s the drinking, but in the real world opened bottles get drained and infrastructure gets used. In The Editor-in-Chief of Science Magazine is wrong to endorse Keystone XL I took issue with an editorial by Marcia McNutt who argued that nixing the pipeline wouldn’t stop the future development of the oil sands (a straw-man argument) and that President Obama could use the decision to lever better climate policies out of Stephen Harper (it didn’t quite work out that way). I’m sure McNutt meant well, but sometimes establishment figures overthink the problem and prefer to line up with the Serious People than with the excitable activists. 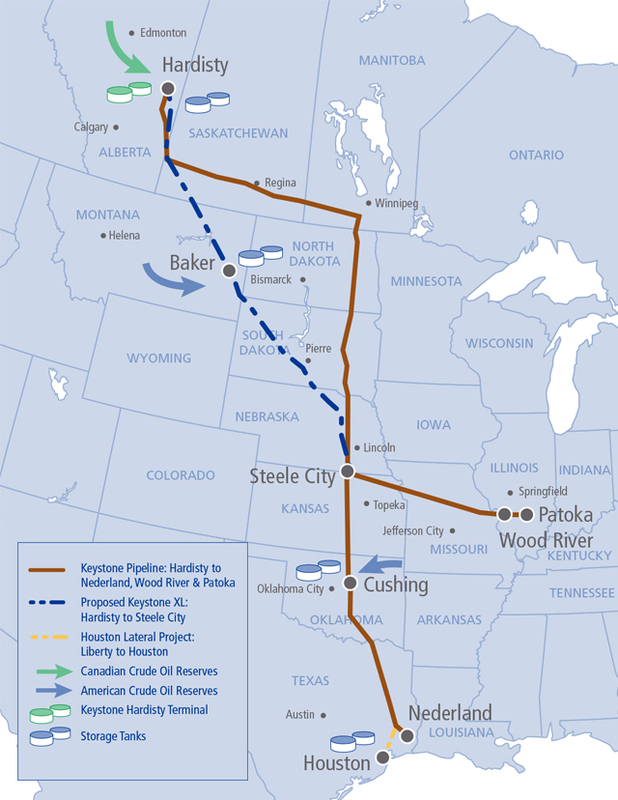 In Keystone XL: Oil Markets and Emissions I took an in-depth look at a paper by Peter Erickson and Michael Lazarus who argued that the impact of infrastructure restrictions on oil markets could be much larger than most analysis predicted. In Pipelines cause climate change, let’s talk about it I addressed the proposed expansion of the Kinder Morgan, Trans Mountain pipeline, which runs from Edmonton to Vancouver and would greatly increase the number of tankers full of diluted bitumen sailing by my back yard. 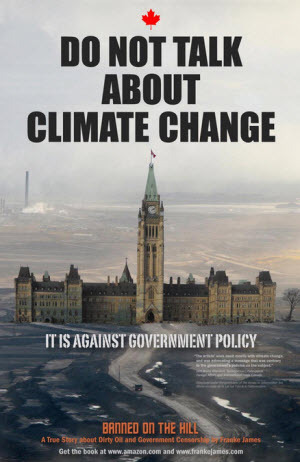 I lamented the fact the Harper Government had not allowed the National Energy Board panel to hear any comments on climate change, an appalling policy that I hope the new Trudeau government will reverse. Nevertheless, I did manage to sneak some climate change arguments past the censors and had my comment to the panel approved, as detailed in Application to comment at the NEB Kinder Morgan enquiry. A lot of the arguments from the past few years are now moot, not just because the decision on KXL has been made, but because the price of oil has fallen so hard over the past year. At current prices, below $60/barrel, there is no longer a commercial case to be made for building new oil sands projects. Even the existing ones with their sunk capital are in a big struggle to remain viable on a go-forward basis. The industry is now in a cycle of savage cost-cutting and retrenchment. I’m pleased that the Keystone XL project was not approved, but I’m even more pleased that it wasn’t approved four years ago. Had it been approved when oil prices were still high and rising, it might well have encouraged investors to invest in more upstream projects and could have encouraged even more pipeline proposals. It’s impossible to know how much the deferral of the KXL decision slowed investment, but it was probably significant. Just over ten years ago I was employed at Encana Corporation working on their project in Ecuador. The company had just, along with its partners, built a pipeline, the Oleoducto Crudos Pesados (OCP, Heavy Oil Pipeline), across the Andes from the Oriente Basin to the Pacific. The pipeline was built to satisfy the need to transport the increasingly heavy oil being produced in the Oriente, but it was also deliberately built oversized. Once you are building a pipeline it’s inexpensive to add an inch or two of extra diameter. 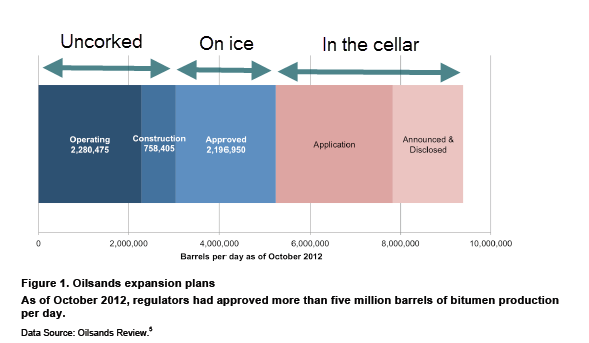 Overcapacity of newly-built pipelines is a feature, not a bug. I led a new ventures team whose job description, expressed heavily and crudely, was “fill the damned pipe”. We were driven by the demand created by the new infrastructure. We ended up buying a company whose production was not yet allocated to the pipeline. Shortly afterwards, Encana sold its Ecuador operations to a Chinese company. Contrary to some of the caricatures of the marauding oil industry, we did actually care about the impact our activities were having on the environment and we took pains to minimize them. To be sure, there remained plenty of room for improvement and the best way of minimizing impacts would to have been not there at all. Compared to the practices of Texaco, which have become the subject of international lawsuits between Ecuador and Chevron (Texaco’s successor), our footprint was far lighter. And there was no comparison with the continuing terrible operational practices of the state company, PetroEcuador. In this project and others, the company tried to mitigate the risks that changing politics, taxation and regulations posed to the shareholders. However, I do not recall even once the subject of climate change coming up. As individuals, some of my colleagues may have been vaguely aware of the science of climate change. Many would have been dismissive, while others, like me, were conflicted and concerned about the seriousness of the global problem. But nobody at that time really stopped to think about how much individual projects contributed to global change, nor about what effect future policies like carbon taxes or emissions caps would have on our business. The oil majors like BP and Shell have given the climate crisis serious consideration and have grappled with the contradiction between the future of their core business and what they acknowledge as a serious global threat. Exxon even conducted research into climate science, but decided to deal with the problem with obfuscation (by funding dubious science and denialist groups) and with deliberate exaggeration of the uncertainties to delay action. Smaller companies, with less of global profile, like the ones I worked for, mostly remained oblivious. Climate change, if it was even considered to be a threat at all, was none of their business. The Keystone debate was never really about a single pipeline and its impact on global climate change. Even the most exaggerated calculation of the emissions associated with a single project would come to the conclusion that not building it would have only a small effect when considered in the global context. Certainly, viewed in terms of local emissions budgets, the growing emissions from the upstream oil and gas sector in Canada are enough to make achieving the country’s target impossible. And, as I have argued, the effect of adding transportation infrastructure stimulates development upstream. The defenders of the pipeline tied themselves in knots by simultaneously arguing that not allowing it would make no difference, yet that it would be vital for Canada’s economic interests. In other words, a confusing mix of incrementalism and obfuscation. Keystone is the first international infrastructure project that has been refused permission on the grounds of its impact on climate. That’s why it matters. No company, or country can from now on propose or evaluate any big infrastructure investment without considering its climate consequences. The days of simply assuming that the demand for a product would outweigh any consideration for the emissions associated with the product’s origin are over. In a world increasingly dependent on international trade, carbon emissions, wherever they originate, are no longer an abstract notion that can be ignored. Despite claims that the Keystone XL decision in itself will not do very much to reduce emissions, I’m sure that, decades hence, President Obama’s decision will be looked upon as a turning point. This entry was posted in Uncategorized and tagged Economics, Emissions, Keystone XL. Bookmark the permalink. was a bit over the top. It smacks of demonizing and seems to lay the entire responsibility for climate change on the fossil fuel industry while acknowledging no responsibility on the demand side.If we had properly priced carbon externalities, the responsibility becomes everyone’s. Yes, I agree that often the anti-big-oil rhetoric gets overheated. There is plenty to criticize oil companies for, but sometimes it seems a bit like men with beer-bellies blaming the brewer. Is this actually true? The Fraser Institute wrote a pro-pipeline paper that tried hard to show how much safer pipelines were. It showed (a) pipelines kill fewer people than rail per barrel-mile, but (b) rail spills less oil per barrel-mile. Trucks were the worst on every axis. If true, that would indicate that rail is *less* risky than pipe. The study doesn’t talk about minor leaks — spill an little bit here and there and eventually it adds up. Both rail and pipe suffer from that. Thanks. Yes, I rather went with the received wisdom with that comment, without backing it up. Certainly the recent track record of pipelines has not been great. I will check out that Fraser Institute report. Keep in mind that Fraser is an industry think tank in the old tradition of telling no outright lies but misdirecting in the direction of the conclusion they’re being paid to support. Absolutely. There’s little doubt that pipelines are more profitable and predictable than other transportation options and I have little doubt that Fraser’s main goal is to promote pipelines for that reason.